This coin was minted in the years you see on the left (dark red). From 1954 to 1989. Difficult to found are: 1958, which was minted in few pieces (less then one million), 1960 is a non common coin. In the reverse we found Vulcan (Hephaestus for the Greeks): the god of fire and metallurgy. Son of Zeus and Era, was the blacksmith of the gods. He worked under the volcanic island of Lemno (where his cult started). With his giant hammer and anvil he forged, with the help of the Cyclopes, wonderful things such as the Sun Chariot, Zeus' lightnings and sceptre, Achille's armour and Olimpus' buildings. This coin was minted in the years you see on the left (red), reduced size (no longer legal tender since October 16, 2000). In 1990, the Italian mint decided to reduce the size of the 50 and 100 lire coins. The result were tiny coins that at first were collected as souvenirs. Many Italians did not (and still do not) like them as pocket change, because they are too small and can be easily lost in purses and pockets. Personally I like a lot this small coins, I think they are like little brothers of the 50 lire above. 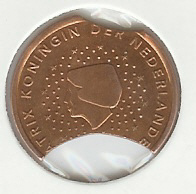 In 1996 the mint introduced a new 50 lire coin. The size of these coins is in between the "old coins" and the "reduced size" ones. So we had three different types of 50 lire circulating in Italy.